The ECG Academy Level 1 course (#15121999) is approved for 12 contact hour(s) of continuing education by the American Association of Nurse Practitioners. The Level 1+2 Course (#15122000) is approved for 19 contact hour(s) of continuing education by the American Association of Nurse Practitioners. These activities were planned in accordance with AANP Accreditation Standards and Policies. By incorporating ECG Academy's unique video tutorials into an educational framework, we are now able to track each participant's progress. The Sections in the Level 1 (Advanced Rhythm Strip Analysis) and Level 2 (12-lead Interpretation) courses each have 3-5 videos, each 5-15 minutes long, that cover a particular topic. At the end of each section there is a short quiz to reinforce the information and to measure your proficiency. There is a newly-added section with a collection of "Essential ChalkTalks" at the end of each level, to help you practice analyzing unknown tracings. At the end of the each Level there is a final exam. 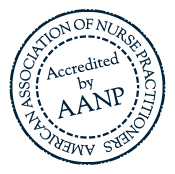 Completion of the program qualifies the participant to receive a "Certificate of Completion" that is approved by AANP. 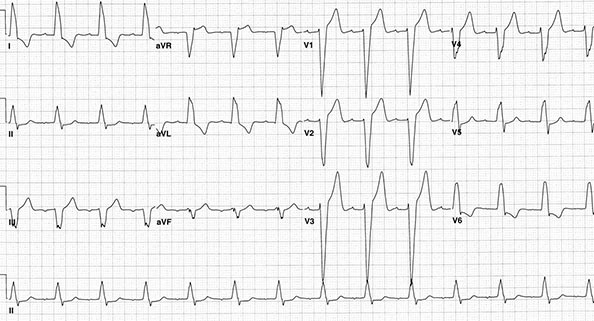 You'll also receive access to ECG Academy's weekly ChalkTalks, which are invaluable to help you tackle more difficult tracings. To purchase the course, click Subscribe Now below and choose one of the Certificate Courses (Level 1 or Level 1+2). Please note: It generally takes up to 24 hours to get you enrolled after you purchase the course. "I find your course to be extremely helpful and should be offered at NP schools across the nation." "Dr Nick, you are an ECG gangster!! I love the videos. You explain things so well. I love cardiac stuff already (I work in ER currently), but this course took me to another level of understanding. " To Look At ECGs In A Whole New Light!